We're excited for you to join us on this jungle music adventure! Thank you for your interest in musically nuturing your children. 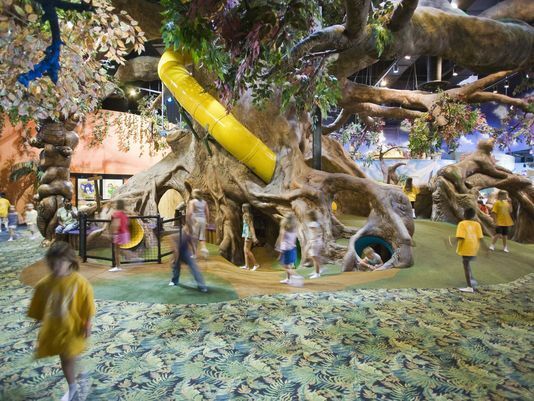 Makutu's Island is a wonderful indoor playplace that we partner with to give you a glimpse of Music Together® and enjoy the jungle-themed playground afterward complete with tropical animals, fun slides, and a toddler playplace for the little ones. If you are interested in trying out a class, we highly encourage you to come to Storytime at 9:30 am on Tuesdays for discounted rates and try out the class afterward. Trying out classes is based on availability, so please call 623-251-9083 beforehand to check beforehand if we have space. Children under 1 are FREE! •Waivers are required and can be completed on their website prior to your visit for faster check in. •Socks are required for island play for children & adults! You can also view our Tuition Pricing for Music Classes at Makutu's. Non-members pay $15 more but get to stay & play on their day of class! Copyright © 2019 Cottontail Kids Music Together, LLC. All rights reserved.